Leads, we need more leads. 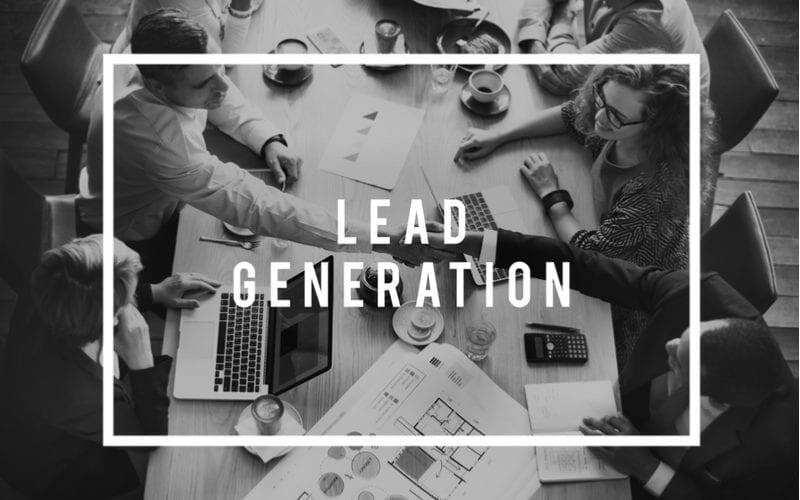 How many times have you heard someone in a meeting say that you need more leads. Leads are the bread and butter of most businesses, and medical practices are no exception. When working with medical website design it’s important to think about not just security, but also how people perceive the site. Your website’s design offers a first impression to users, and cements in their mind how they interact with it. Good design gets leads. Period. End of story. And, good design requires you to become empathetic to the user, understand their needs, and seek to meet them. Whether you’re redesigning your website or launching a completely new site, it’s important to think about how you want to integrate lead generation tactics into your medical website design. Getting leads through your website requires that your medical marketing strategies are all aligned with the latest design principles. First and foremost, you want your website to appear professional. A professionally designed website is not only attractive, it builds trust with your user. They see a business that has taken the time to develop a website that is high quality. As a result, they’ll infer that your business quality is at the same level. You’ll also want to make sure you have a blog that is loaded with high-quality content and regularly updated. This content should answer questions that your users are seeking answers to. If possible, include a calls-to-action to get people to subscribe to for regular updates. This gets you a list of interested potential leads who you can reach out to when you have an offer that may appeal to them. One of the most important medical website design ideas recommended to nearly every medical practice out there is to put your social media follow and share icons on every page. This enables your clients to easily share content from your website to their social media platforms, allowing organic lead growth. As people see their peers sharing your content, they’ll be more likely to look at you as a viable medical option. The final basic of creating a website that gets leads is to make your top level navigation as easy as possible to navigate. This means it should be short, obvious, and easy to navigate on mobile devices. The content you put on your website makes a huge difference in whether someone turns into a lead or not. Content isn’t just words or images or, even worse, random things put on your site. Content is strategically placed images and sentences that clearly communicate to users the value you bring to the table. Each piece of content should highlight you as an authority in your industry. It should foster trust with your website’s users. Well written content and strategically placed images are what get people to stick around your website, browse pages, and ultimately become leads. For example, let’s pretend you were a plastic surgeon in Georgia looking to get leads from women who are seeking breast augmentation. Plastic surgery is like art, and if your website is unattractive, poorly laid out, and non-responsive you’ll lose a lead. After all, why would someone trust you or your practice to perform their breast augmentation if your website doesn’t even look good? Now, contrast the above example with an attractive, clean website. This clean website allows users to visit the home page, understand what you do and navigate easily. They can get to a portfolio that shows your past patients’ results, view photos, zoom in and out, and interact with you and your practice before they even call. Once website design for medical practices has been implemented, website users are ready to become a lead. A lead is a user on your website who takes a desired action. For a medical practice, it might be to request more information or schedule an appointment. This allows your sales staff to take another step toward nurturing the user into becoming a patient. A lead is converted once he or she becomes a patient of your practice. The lead generation form is your best friend when it comes to medical website design for lead generation. These are short forms that allow you to collect basic information from potential patients who have an interest in your services. These forms should collect only the most important information you need to understand your lead and serve their needs. The longer the lead generation form, the less likely people are to fill it out. The lead generation form can go anywhere on your website, for example on a contact page or services page. They’re most effective when added to landing pages designed to target a very specific audience and user. Creating an internal linking structure on your website can help people connect to pages that are relevant to the one you’re currently viewing. So, for example. Let’s say you created a blog post about breast augmentation that you hoped to spark a user’s interest. You could easily link various texts and images in the blog post to your portfolio of work of a page that discusses various breast augmentation procedures. This internal linking structure offers additional useful information to users, thus increasing their level of trust in you. As a result, you’ll get their email and will have an opportunity to use it as a touch point to continue to nurture them as a potential patient. Additionally, as you remind them of who you are and what you do, you keep yourself at the forefront of their mind. But remember, it’s important to avoid overloading these potential leads. Provide them with useful information as it comes along.